PITTSBURGH–Carnegie Mellon University computer scientists have developed a system that can translate a wide variety of 3-D shapes into stitch-by-stitch instructions that enable a computer-controlled knitting machine to automatically produce those shapes. Researchers in the Carnegie Mellon Textiles Lab have used the system to produce a variety of plush toys and garments. 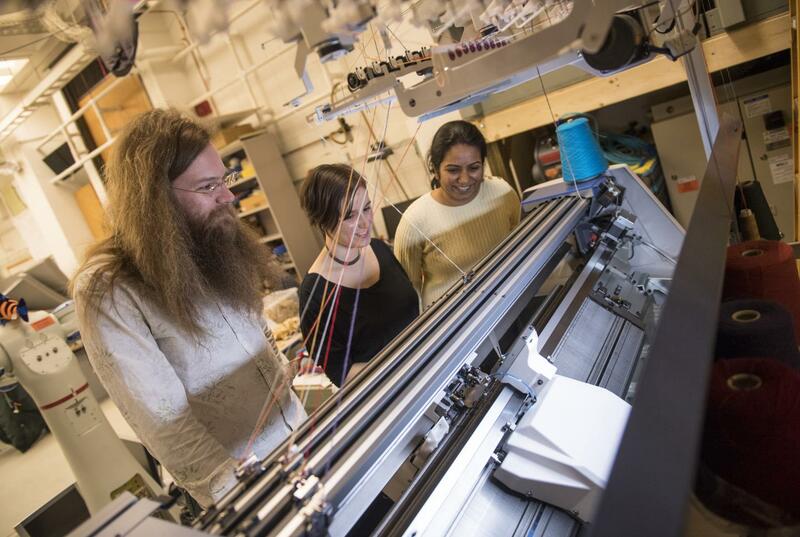 What's more, James McCann, assistant professor in the Robotics Institute and leader of the lab, said this ability to generate knitting instructions without need of human expertise could make on-demand machine knitting possible. "Now, if you run a floor of knitting machines, you also have a department of engineers," said McCann, who noted that garment designers rarely have the specialized expertise necessary to program the machines. "It's not a sustainable way of doing one-off customized pieces. The research paper, along with a video, is available on GitHub.